With the current prices of most crops, I think the majority of growers would agree that profitability is high on their list of priorities. Critical to profitability is a healthy crop. Obviously, there are many variables involved in keeping a crop in top condition. Let’s look at several of the factors involved in keeping a plant functioning at full potential depending on the conditions. The first factor needed for optimum plant health is proper amounts of water — you know, not too much, not too little, just right. Mother Nature can keep growers wondering when the next rain will happen, while the ground is still black from the last rain. But, please don’t come so soon that the ground is water-logged, right? It is unnerving to have so much riding on timely rains, and when prices are low it seems like risks beyond our control are elevated. In areas that irrigate, it seems like life should be good. This is a controlled climate after all. Don’t be fooled, though. Irrigation can come with negative side-effects. First, if you irrigate, you are obviously in an arid or semi-arid climate, so evaporation rates can be high. Will equipment operate when it is most critical? Will my water source hold up? Whether lake, river or aquifer, most sources have their limitations. Plus, surface water sources have to be replenished and competition for stored water is heating up; whether it is used for recreation or to supply the growth for many desert metropolitan areas. If you don’t believe this is happening, just make a trip to California where they seem to be fighting annually for just enough water to keep permanent crops alive. Not enough water on a vineyard or almond orchard doesn’t just cost you a year of production, it can wipe out a lifetime of income potential. Then, if you have enough water to irrigate, the water can add issues to the soil. Almost no water source is as pure as rain and snow. Most other water sources bring elements that can accumulate in the top few inches of soil as the top layer filters the water on the way through. Sodium can be a common problem, but anything in the water can become excessive enough to cause problems if high amounts of water are needed and evaporation rates are high. Okay, enough about the value of quality H2O. Let’s move to the crop’s lifeblood — the soil. 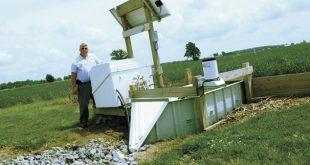 Climates have a big effect on this component of crop production. Rain falls through CO2 in the atmosphere and combines with water to end up a little (and I mean a little, not car-paint-ruining) on the acidic side of the pH scale. That sudden green-up that happens after a rain is often a direct benefit from a release of nutrients provided by the falling moisture. However, the more of this that is received, the more that valuable cations are flushed though the soil. These must then be replaced with lime to provide a good environment for microbes and plants to live. In arid areas, water movement is primarily upward due to evaporation. This often results in levels of cations that are too high in the soil surface. These can actually prevent water infiltration. Ever driven through a desert and see signs that say “watch for flash-flooding”? Seemed like a joke, didn’t it? But very high levels of cations left behind by evaporation causes water to sheet off during periods of rain, especially downpours. So the flash-flooding signs are no joke, just a reality that even moisture-starved soil may reject rain when the soil contains excesses. So could a limiting factor in crop production actually be a surplus of a nutrient that might otherwise be beneficial? It can be. Proper proportion is important. 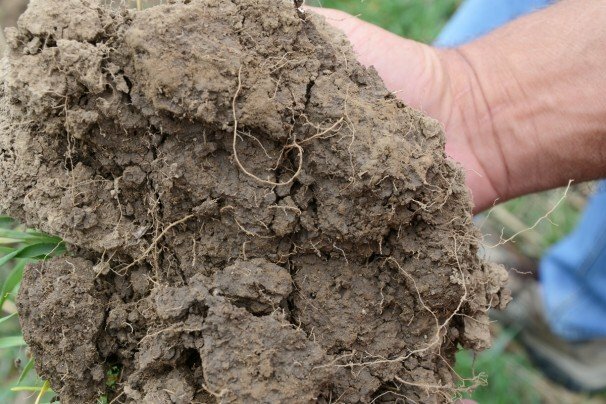 Regardless of what kind of environment a crop is produced in, most soils can be quite productive, contributing to profitability; maybe not assuring profits every year, but over the long haul. Soils that become acidic can be limed. Sulfur can be critical in soils with excesses. And in both of these, other nutrients can be affected. Most of these we can easily control with regular soil testing and diligent applications. For profitability during depressed price periods, producers need to fight the urge to forego liming or sulfur applications when they are needed. This money will have to be spent at some point and it is way better to keep up with these as needed then applying a bunch at one time. The next natural urge is to focus on a cheap nutrient just because the investment would be less. This is often nitrogen or potassium. But it is a poor use of capital to buy, and apply, a nutrient just because it is cheap if it isn’t limiting. Remember the part about excesses previously discussed in this article? Well, make sure to spend wisely. If an input is needed, then apply it. Mindful spending is critical in this current agricultural economy, but “mindful” is a long way from cheap. Mindful spending is smart. It requires discipline to avoid the tendency to save rather than spend smartly. Every producer must take the long-term approach to crop production. Profits are needed for short term survival, but healthy soils and crops are necessary for long term business building. Therefore, consistently good plant health is the way to long-term profits. Disciplined decisions are a critical part of this process.